On Friday October 6, 2017, the 'Friends of Jeroen Bosch Hospital' foundation hosted its famous fundraising-gala for the fourth time. 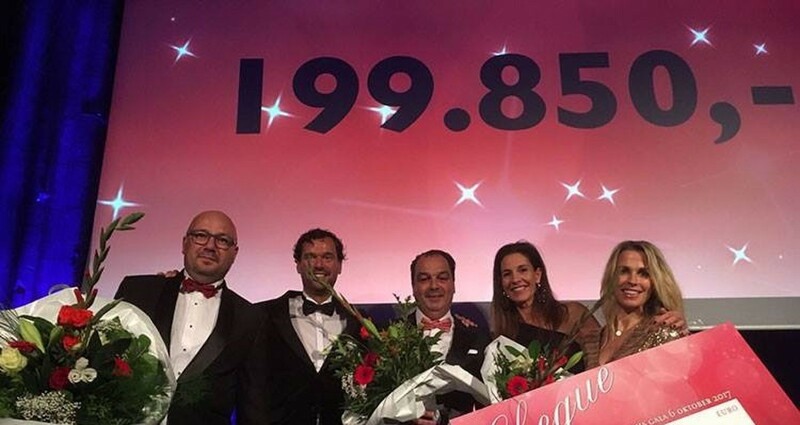 During the event, that was presented by television-presenter Vivian Reijs, an amount totaling € 199,850 was raised. These funds will be spent on a variety of projects, all aimed at improving the quality of patients' stay at the Jeroen Bosch Hospital. Claudia Bruins is on the board of the Charity Association and co-organised the event together with board members Jan Karel van der Staay and Kurt Verhees. Please click here for the newspaper article in the Brabants Dagblad of Monday October 9, 2017, concerning the event. Please click here for the press release of the “Friends of Jeroen Bosch Hospital” foundation.